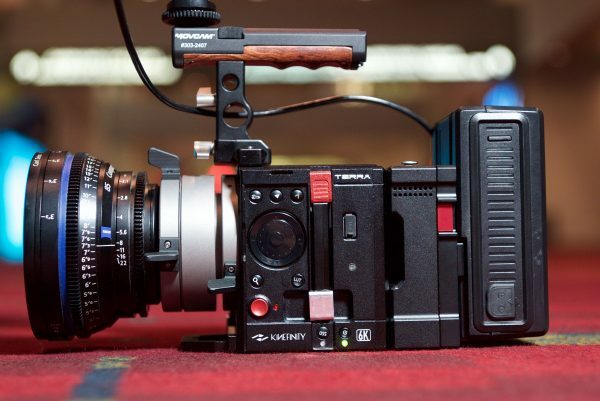 Kinefinity has shown its brand new 6K camera for the first time outside China. 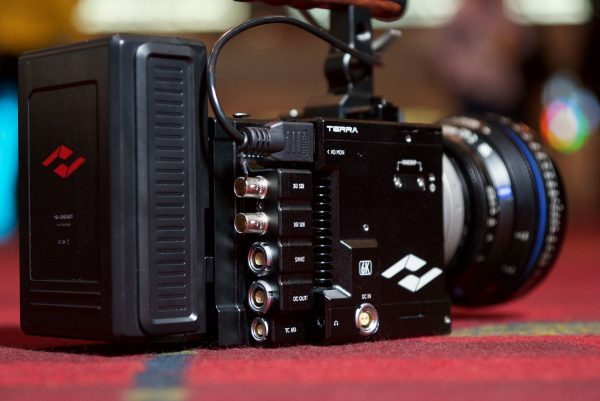 Called the TERRA, it is a small-bodied Super35 cinema camera that comes in both 5K and 6K versions. 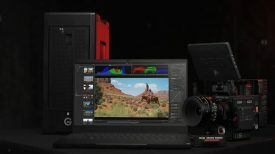 The headline grabbing 5K version will sell for $5K US and can shoot 5K at 60 frames per second (fps), 4K at 100 fps, or 2K at 200 fps, plus all the regular frame rates. The 6K version that we saw today allows you to shoot 6K at up to 25fps, 4K at up to 100 fps and 2K at 225fps. 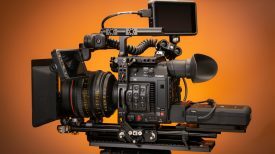 The camera uses the same sensor as the existing 6K KineMAX model, which should give it slightly more dynamic range than the 5K model. The base sensitivity remains at 800 ISO. Both cameras record Kinefinity’s own 12-bit KineRAW (.KRW) format or 10-bit Apple ProRes in 422 HQ, 422, LT and proxy flavours. 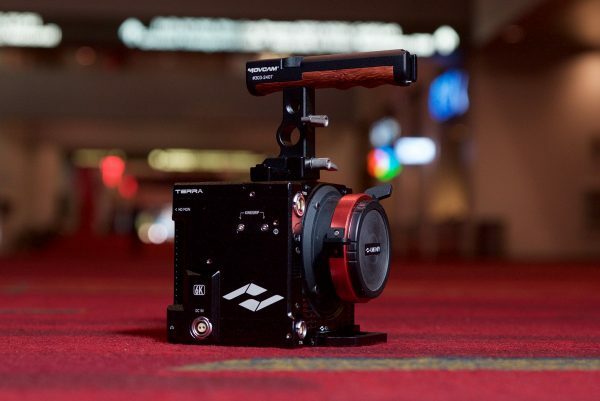 The addition of ProRes is highly significant and puts Kinefinity alongside the ranks of ARRI, Blackmagic Design, Panasonic, RED and AJA, which have included the format by default in their cameras. I spent a small amount of time shooting with the camera and was impressed by its light-weight and compact body design. I found it to be easy to use and was impressed by the camera’s dynamic range and highlight handling. Like previous Kinefinity cameras, there is still quite a bit of rolling shutter present. This was a pre-production version though, so it will be interesting to see if this is improved by the time they start shipping. Below are a few of the original ungraded ProRes images taken from the camera. 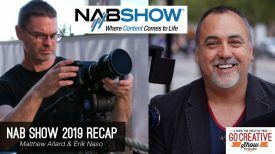 NAB Live Show 2016 – Newsshooter-Kinefinity from Teradek on Vimeo.